The Yutan Public Library was established and is supported by the City of Yutan to provide basic Library services for all library patrons. Yutan Public Library is a member of the Saunders County Library Cooperative (SCLC) established August 18th, 1997, and agrees to participate and adhere to policies and procedures adopted by the SCLC. Yutan Public Library operates under the general supervision of the Library Director appointed by the Library Board and under the Bylaws, policies and procedures adopted by the library board. The Library director will supervise and schedule other library staff; is responsible for selecting and ordering library materials and supplies, is responsible for cataloging and inventory of library materials; is responsible for keeping library statistics and submitting reports as may be required; and is responsible for maintaining the library in a neat and orderly manner. Library staff will be compensated for all hours worked for or on behalf of the library, whether within the library or outside the library, at regular hourly wage. The Yutan Public Library observes the Library Bill of Rights, Freedom to Read, and Code of Ethics. Yutan Public Library has the following items available for patron use: books, Kindles, DVD’s, CD’s, moon viewing kit, watt detectors, Overdrive(E-books), 3D printer, computers with internet access, iPads, Mega Blocks, Brick Legos, Lego Robotics Kits, puzzles, board games, screen, smart TV, Apple TV, X-Box, laminator, Cricut, Little Bits, Zutter Bind-it all machine, Shredder, and a copy/fax/print machine. If parents do not wish to allow their children the use of the internet, it will be the responsibility of the parent or guardian to oversee internet use. All library patrons must have a current library card in good standing in order to check out library materials, to participate in Yutan Public Library programs, or to use computers. One standard library card will be issued and may be used at five Saunders County libraries (Yutan, Mead, Wahoo, Ceresco and Ashland). Library cards are available to residents within the 68073 zip code and all students of Yutan Public Schools at no charge. Residents outside the 68073 zip code will be charged an annual usage fee of $20.00. Cards lost or damaged may be replaced at a cost of 1.00 each. 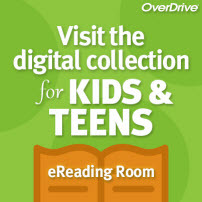 Children up to age 14 may obtain and individual library card with parent/guardian signature. Each family member should have and individual card in order to more accurately record library statistics. Persons applying for a library card must show identification and proof of primary residency and must agree to abide by established policies and procedures of the library. Books and audio books will be loaned for 14 days with a fine of 5 cents per day for each overdue book. No more that twelve library materials may be checked out at one time. Fines for damaged books or other library materials will be determined by the Library Director. Replacement cost will be assessed for lost or permanently damaged items. 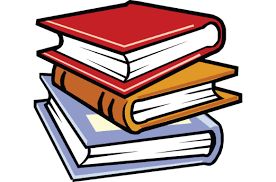 Reference materials should be used at the library; however, some reference materials have been designated as available for checkout with approval of the library staff. Reference materials are subject to the same circulation time and fines as other materials. No additional materials will be issued to a library patron with overdue materials or unpaid fines. Library books and materials will be purchased in accordance with guidelines established in Collection Development Policy. Purchases should be made throughout the year and in accordance with budget adopted. Other items that may be needed and not covered in the budget should be presented at a regular meeting for consideration and/or approval. Attendance at workshops and/or other educational meetings for library staff should be evaluated on an individual basis and outlined in Yutan Public Library Personnel Policies. Library staff will be compensated for meeting attendance at regular pay rate plus mileage rate established by the City of Yutan and for other reasonable expenses with receipts presented. The Library Director will receive an annual performance evaluation by the Library Board and other library staff will receive an annual performance evaluation by the Director and Library Board. Evaluation results will be included in individual personnel records. Library staff and Library Board should evaluate the overall effectiveness of the library in meeting the needs and interests of the community on a continuing basis. A library patron may request reconsideration of a book or other material in the library by completing a “Request for Reconsideration” form and submitting it in person at the next regular board meeting. The Board will review the reconsideration request and material and notify the patron of their action. Yutan Public Library recognizes that its circulation records and other records which identify and link names of library patrons with specific materials are confidential in nature. Library staff, board members, and volunteers are prohibited from disclosing this information to the general public and are advised that such records shall not be made available to any agency of state, federal, or local government except to such process, order, or subpoena if good cause for its issuance has not been shown or if any defects in its issuance have not previously been cured. Library policies to be considered in the overall management of the library are: Collection Development Policy; Overdue Book Policy; Personnel Policy; Acceptable use of the Internet and Library Computers Policy; Wireless internet at the Yutan Public Library Policy; Emergency and Safety Policy; Finance Policy; Displays Exhibits, Bulletin Boards Policy; Library Bill of Rights; and Bylaws.